Sunlight is warm, mood enhancing, and wonderful—especially after a long, cold winter. Endurance athletes spend lots of time training and racing in the glorious rays, but for many, sunscreen is often an afterthought. It shouldn’t be; the statistics are startling. One in five Americans will have skin cancer by age 70. 58 million Americans will have pre-cancerous spots. The number of non-melanoma cancers has increased by 77% since 1994, and 90% of these are caused by UV light. While many cancers are not lethal, melanoma, which makes up 3% of skin cancers, results in approximately 9000 deaths a year. The statistics for endurance athletes are even more alarming. Exercising raises photosensitivity, and exposure can be increased over long hours of perspiring, simply because sunscreen wears off. If you’re a swimmer or surfer, you may be even more at risk. A 2015 study from Bond University found surfers are three times more likely to get melanoma than non-surfers, likely due to the sun reflecting off the water. The irony for the endurance athlete is that we often feel invincible when fit and training. We eat well, get good sleep, and exercise regularly. Plus, the effect of the sun is not always immediately discernible; sunburns fade, freckles might come and go. But the damage you are inflicting on your skin is not going away. Excessive sun exposure literally changes the DNA of your skin, and you might not start seeing the effects until you are faced with the time-consuming and often invasive methods of mitigating or removing cancers. So what can you do? According to a study published by the Journal of Clinical Oncology, regular sunscreen use decreased the incidence of melanoma by 50-73% in study participants. A broad-spectrum sunscreen will protect you from both UVA and UVB rays, and you’ll want an SPF of at least 15, with the sweet spot around 30. 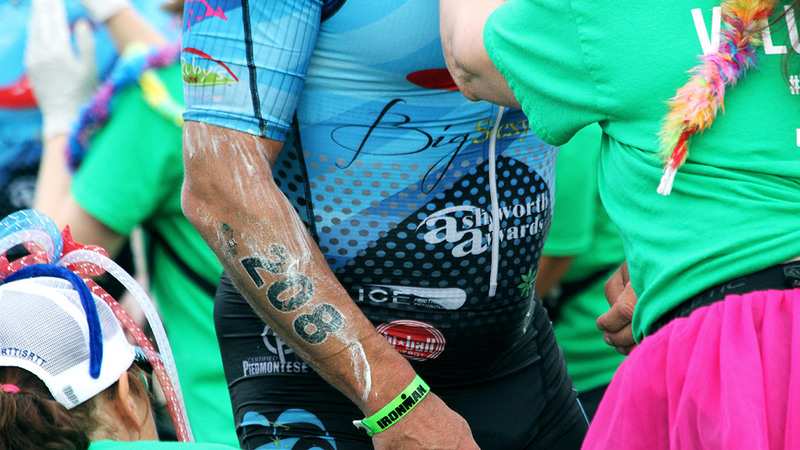 Put some sunscreen in your bike saddlebag, or leave some with your extra water on a long run. These sound like excessive measures, but when you realize you are preventing possible cancer and skin damage, they become as important as hydrating and eating properly. Different formulas will last for different amounts of time, but the general rule is to reapply every two hours, or more frequently if sweating. It’s never too early to have someone take a look at your skin. If all is well, great! And if a spot starts to change, you’ll have a jump on it. Annual skin checks aren’t obsessive; they’re smart. If you haven’t been, make an appointment now. It often takes 6+ months to see most dermatologists, probably thanks to the increase in skin issues that are starting to appear in younger individuals in addition to the older generations. There is actually some data that demonstrates a diet rich in antioxidants may help your skin. A 2002 study in the Journal of Investigative Dermatology found that UV exposure contributes to skin damage partly by depleting antioxidants in the body, making it possible that replacing these could assist in healthy skin. Drink green tea, eat leafy greens, get adequate omega 3s, and eat nuts, seeds, legumes and soybeans. This will be good news for athletes; the food that is good for your skin is beneficial for the rest of you too! If you’re going to be out there shredding waves or turning the cranks, cover up! Hats, visors, long sleeve light blocking shirts and sunglasses are all helpful. Remember that your eyes are sensitive too, so invest in a good pair of glasses to help prevent light, dust and wind from harming your eyes. The sun is strongest generally from 10 a.m. to 2 p.m. Of course every long course athlete knows this is nearly impossible, so go back to your sunscreen and clothing and stay on top of it! It is never too early or too late to start protecting your skin. Don’t be lulled into complacency by youth or less-sunny climes. Cover up, avoid peak sunlight, and remember to visit your dermatologist on a regular basis!